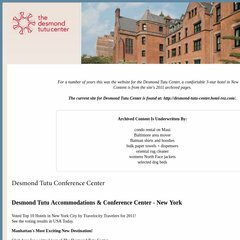 Topics: Click Here, New York Meeting Space, New York Conference Center, New York City Accommodations, New York Banquet Hall, and Planners & Agents. The estimated 35 daily visitors, each view 2.30 pages on average. It is hosted by Travelclick Inc (Illinois, Schaumburg,) using Microsoft-IIS/6 web server. dns051.c.register.com, dns226.b.register.com, and dns234.a.register.com are some of its 4 Nameservers. It is written for ASP.NET language. PING www. (209.242.70.57) 56(84) bytes of data. Pinging the server, resulted in a 26.5 ms response.